Being a professional in the field of Information Technology means that you need to be updated in the latest trends in the industry. IT is an ever-evolving field with newer and better technology suddenly appearing a year, sometimes less, after the last newer and better ‘thing’ has been released. As a result, if you are fresh graduate or a professional with an impressive portfolio and work experience, you are expected to have a good grasp over a number of programming languages among other skills that the company requires you to have. Just when you thought that you could reap the rewards of your hard work, going through dozens of essential IT-related classes, online classes, attending many up-to-date seminars and certification programs, and countless hours of practicing your coding skills to near-perfect efficiency and minimal errors, but then the HR manager asks you to take the Wonderlic Test. More often than not, you may not have expected, nor heard of, this test until now. When you’re fresh out of college, or once you’ve decided to look for greener pastures to further make your career grow, chances are, you’d try and go after a position that opened up at a large and renowned company. Unfortunately, a number of large companies require applicants to take the Wonderlic Test as part of the hiring process in a bid to evaluate the potential of incoming employees. While the test isn’t perfect and may not speak for the entirety of your abilities, the evaluation of your Wonderlic allows employers to catch a glimpse of what your resume cannot show: a preview of your cognitive ability. The Wonderlic test is a psychometric test designed by Eldon Wonderlic that contains questions on number series, analogies, sentence structures, geometric shapes, and basic logic, some of which can be seen in this Wonderlic test sample. For reference, scoring 20/50 is considered an average Wonderlic score but this varies from one organization to the other. According to the Wonderlic, the general average score for programmers is 29/50 while systems analysts are expected to get a score of 32/50. If you score very well on the Wonderlic test, it indicates that you are indeed the right candidate with the best skills for the advertised job. The test, after all, was designed to be challenging even for intelligent and well-educated test-takers as they only practically have 14 seconds to answer each question, forcing them to prioritize which ones to answer first. This is due to the questions being only worth one point each regardless of difficulty. After all, anyone can write, or hire someone to write, an impressive resume and cover letter. 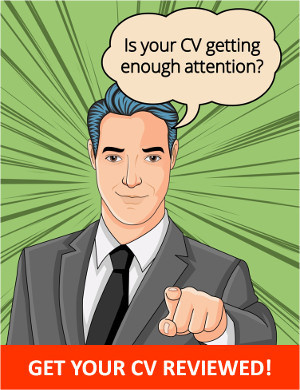 With how competitive the world of IT has become, employers and companies have become wary of applicants who use buzz words in their interview or application to try and impress them when in reality they’re not quite cut out for the job. Nowadays, employers want to know that you’ll be able to grapple with complex issues in unique, creative ways whether or not you’re ready in addition to the everyday stressors that you might encounter while on the job. If you’re competing for a vacant position, especially in the IT industry, then you need to give yourself every advantage as even one point on the Wonderlic test could make the difference between being hired or not.